New York beaches and waterways are some of the most scenic and traveled in the world, attracting tourists and long-time residents alike. 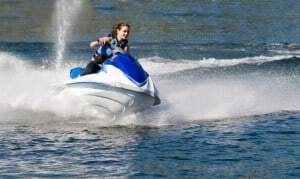 Although boating and watercraft activities are an essential part of this experience, they also bring with them a unique set of risks. When these risks are ignored, innocent fun can turn dangerous or even deadly. Boat and watercraft accident cases are particularly challenging because they involve local, state and federal rules and regulations which require insight into the admiralty and maritime laws that apply to your particular case. ARDITO LAW FIRM, P.C. has the experience to get you the maximum compensation for injuries, payment for medical bills and help you deal with the other financial and emotional hardships that lay ahead. ARDITO LAW FIRM, P.C. works with qualified experts who can give testimony that relates to your accident when necessary. Whether these accidents happen on ferry boats, yachts, fishing vessels, powerboats, water taxis, jet skis, canoes or even inflatable boats, it is essential that you contact ARDITO LAW FIRM, P.C. as soon as possible so that we can protect your rights and you can focus on your recovery.